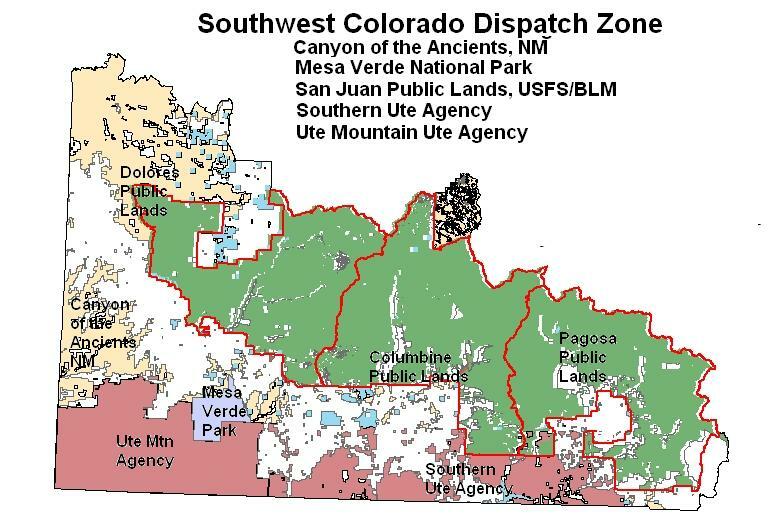 In a release this morning from the Durango Interagency Fire Dispatch Center, authorities remind backcountry visitors that, while the "fire danger is not yet extreme on Bureau of Land Managment and San Juan National Forest lands in southwestern Colorado... warm temperatures, low relative humitites and windy days can make trees and grassses more susceptible to ignition." Fire authorities also add that, so far this year, there have been 154 human-caused fires in Colorado. Confine campfires to established fire rings, grates or areas cleared of flammable materials. Have a shovel and water on hand in case of emergency. Never leave a campfire unattended for any amount of time. Before leaving a campfire, pour water on it, and stir and mix the ashes until cool to the touch. Make sure spark arresters on chainsaws are in working condition. Carry a shovel and bucket of water with you in case of emergency. Do not park hot vehicles in dry grass – hot engines can ignite dry flammable materials. Smoke only in areas cleared of flammable materials. Dispose of cigarette butts in a safe and responsible manner. Remember that it is illegal to light or use fireworks on all National Forest and BLM lands.